The Trump Administration wants to re-approve four massive coal leases in the Powder River Basin, the nation’s largest coal producing region. Last year, we won a landmark court ruling overturning the Wright Area leases, which opened the door for Peabody and Arch, the largest U.S. coal companies, to mine 2 billion tons of coal from the two largest mines in the nation. Now, the U.S. Bureau of Land Management is trying to paper over its violations and again approve the leases. To do so, they’re shortcutting their environmental review. Confronting coal in the Powder River Basin is critical for our climate. Speak out against coal leasing and climate denial under Trump! I urge you to deny the Wright Area coal leases, which are currently under reconsideration by the agency (DOI-BLM-WY-P000-2018-0002-EA). Approving the Wright Area leases would not be in the interest of the American public. These leases were found by a federal appeals court to be illegal due to the Bureau of Land Management's failure to properly account for the climate consequences of more coal mining. Now the agency is attempting to re-justify its approvals, yet seems to be cutting the same corners as before. It is especially disconcerting that the agency is not preparing a new Environmental Impact Statement to fully analyze and disclose the consequences of approving the coal leases. An Environmental Impact Statement is needed to ensure a robust analysis of impacts, full public transparency, and to ensure an informed decision. The reliance on an Environmental Assessment indicates the Bureau of Land Management is cutting corners and avoiding full accountability to the American public. 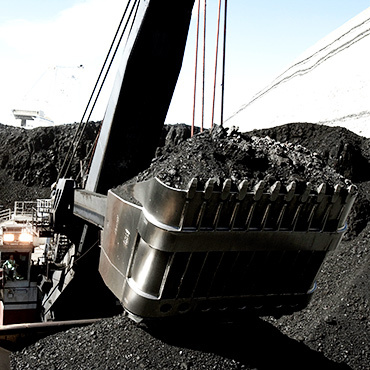 The coal industry is currently in major decline. Instead of rubber-stamping more coal leasing, the Bureau of Land Management should instead direct resources toward helping the United States transition from fossil fuels to cleaner energy and more sustainable local economies.